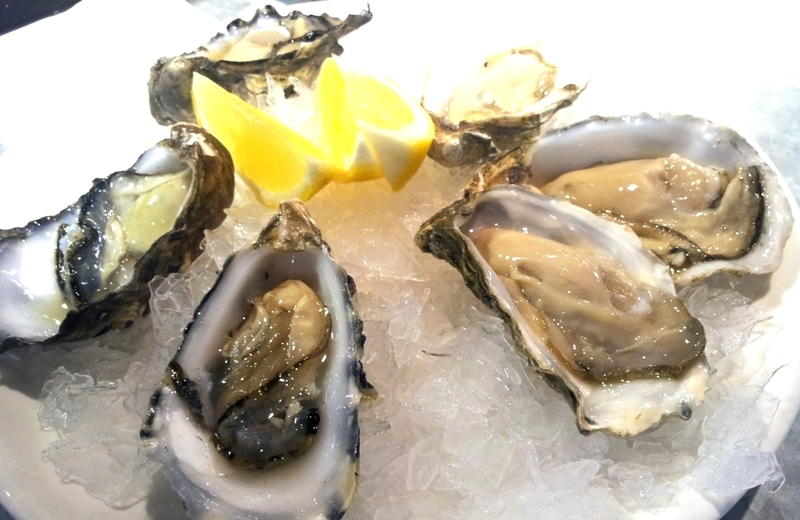 Normally, if I want to get my hand on some nice fresh oysters in Malaysia, the only choice I have is to head to a western restaurant (like Ship / Monte and etc) Or Japanese restaurant. Unfortunately, I don’t feel like having either of the mains in these restaurant. I just want oyster (full stop). 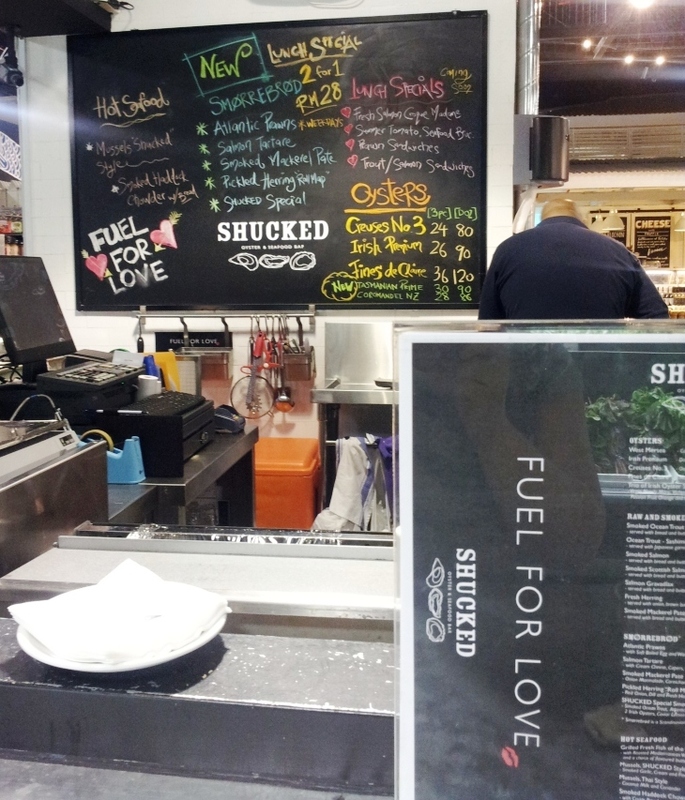 Hence, I was super grateful for Oyster bar such as Shucked in Publika. Here… I get to satisfy my oyster cravings without the stress of ordering mains. I could just walk off after having my oysters. Awesome ! Hub and I decided to go for 3 pcs of Irish Premium (recommended by the ‘oyster-bartender’) and 3 pcs Tasmanian Prime. The Irish premium are the fatter ones on the right side in the picture. The Irish Premium was a delightful surprise. At first bite, it was a bit salty. But after that, you get a burst of creaminess flooding your whole mouth ending on a sweet note. Very interesting.